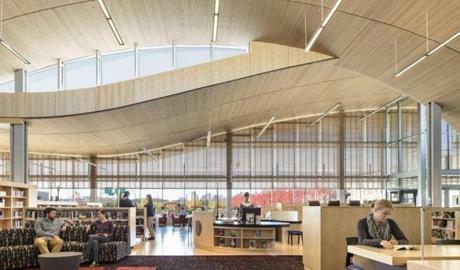 Light filters down from what looks like the sky but is in reality a roof of luminous, undulating cloudlike shapes at the new East Boston branch of the Boston Public Library. 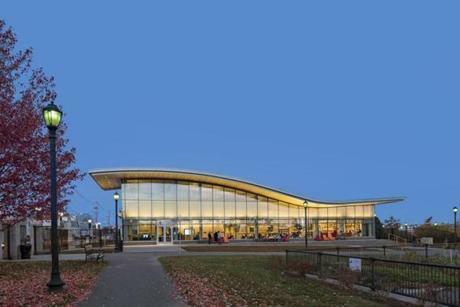 The building stands in the middle of a large public green space, the Bremen Street Park. 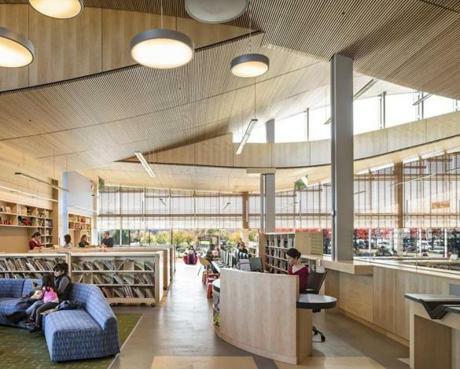 There are no interior walls, giving the building a sense of community that is different from the typical library feel created by separate areas for different age groups. 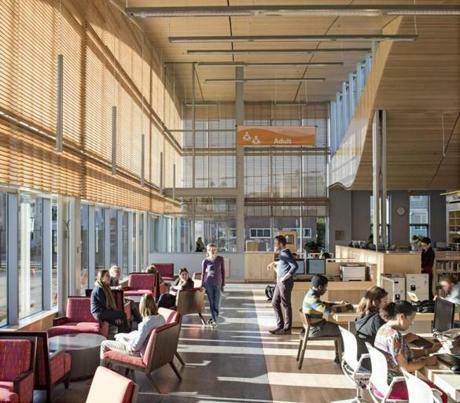 Glass walls on three sides of the library bring in a lot of natural light. 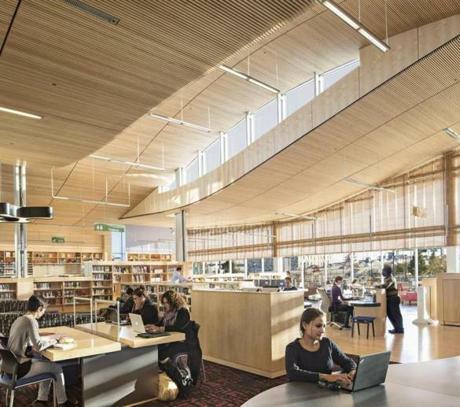 The library floor is like a piece of land shared by many kinds of people under a soft bright sky. It embodies the truth, or maybe the hope, that with all our many differences we can be one community.